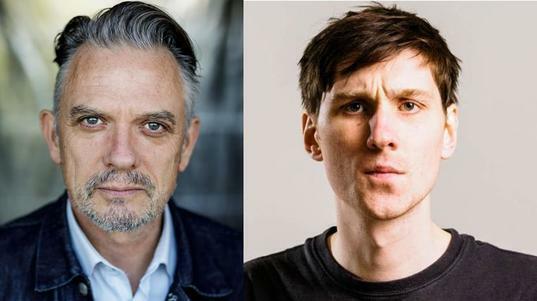 The new year begins with two returning comedians, both stellar, Joe Rooney (father Damo in the Father Ted series), and Sean McLoughlin. Joe Rooney was voted Best Comedian 2017 at the recent Pure M Awards. He has been a headline act in venues all over Britain and Ireland for many years including The Stand ( Edinburgh, Glasgow, Newcastle), The Empire (Belfast) and Laughter Lounge (Dublin) and has headlined clubs in China, Kansas City, Dubai, Moscow and Bahrain. Joe is also a successful actor and writer having acted as Father Damo in Father Ted and Timmy in the long running RTE sitcom Killinaskully as well as a host of short and feature films. He starred in the CBBC series Roy, was winner of Ireland's Celebrity Come Dine With Me, got a five star review in the theatre version of The Shawshank Redemption along with Omid Djalili, recorded a single “The Rockier Road To Poland” with Shane MacGowan and performed a five week run in the Gaiety in John B Keane’s The Chastitute.